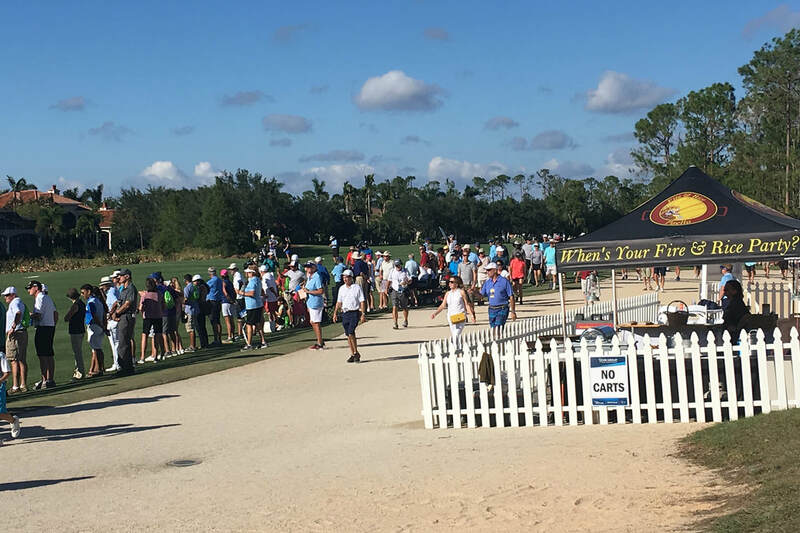 ​It’s that time of year when people come together to wrap up another incredible season in Southwest Florida. If you’re looking for a unique idea for your condo association or private end-of-season party, why not celebrate with fantastic food, fun, and excitement from a catering company that takes care of everything? 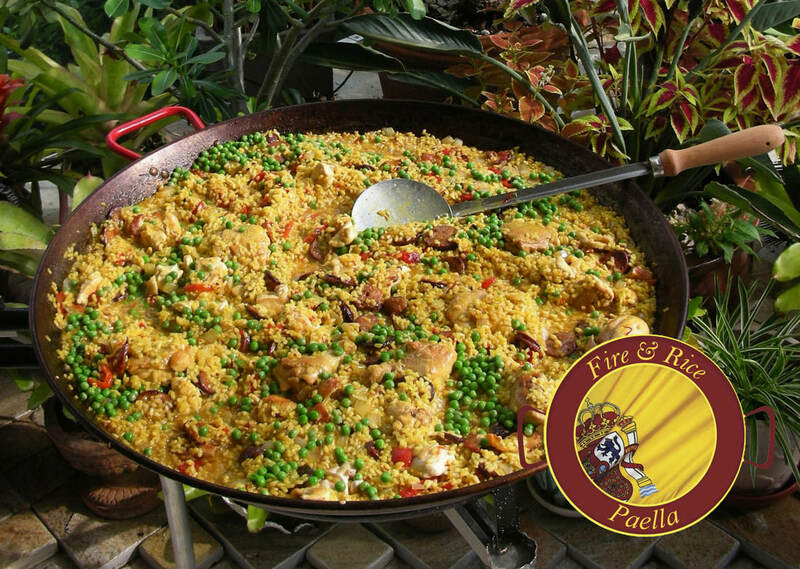 ​At Fire & Rice, we offer an exciting paella catering experience that brings people together in a warm and inviting communal dining setting. The food is divine, like nothing you’ve ever tasted before, and we provide everything you need to make your party a success so that you can relax and enjoy the festivities. It’s fun, exciting, and makes hosting easy! Ready for an exciting, delicious, and unique catering experience for your end-of-season party in Naples? Fire & Rice has got you covered! We are passionate about paella, and it shows. From the moment your guests arrive, they’ll know they’re in for a treat. Our chefs prepare our award-winning paella in large, shallow pans out in front for everyone to see, and guests gather round and join in the process. As people watch and participate, the excitement builds, and even the wallflowers join in. Paella is a beautiful and sensual dish that is meant for sharing. People are drawn in by the palette of primary colors, and as the dish comes together, gentle aromas fill the air. Made from only the finest ingredients dating back to 16th-Century Spain, the chicken, sausage, and saffron meld together with Bomba rice for a delicate flavor and texture that is simply divine. Meat options can be swapped out or combined with seafood, and vegan options are also available, so there’s something for everyone to enjoy. When the paella is ready, our chefs call everyone up to the pans and serve them. As guests come together, they connect in the warmth of the communal dining setting, and when they sit down and take their first bite of paella, it exceeds every expectation. Whether it’s Mixta Paella, Paella Valencia, or Paella de Marisco, guests will delight in the magnificence of this unique dish. Many of our clients have traveled all over the world and say that our paella is the best they’ve ever tasted. The experience is something guests will remember and reminisce about for years to come. 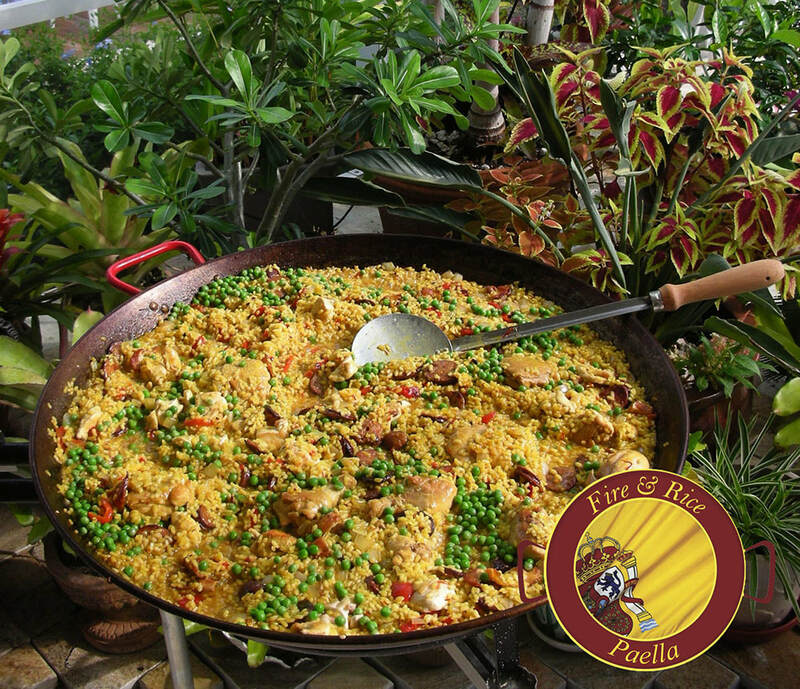 ​Fire & Rice Paella Catering – Exciting Parties Made Easy! ​When you host a Fire & Rice Party, we want to make it as easy for you as possible. We’ll arrive about an hour before your party starts to set up and provide everything necessary to prepare and serve your guests. You just book your party, and we’ll take care of the rest! It’s that easy! 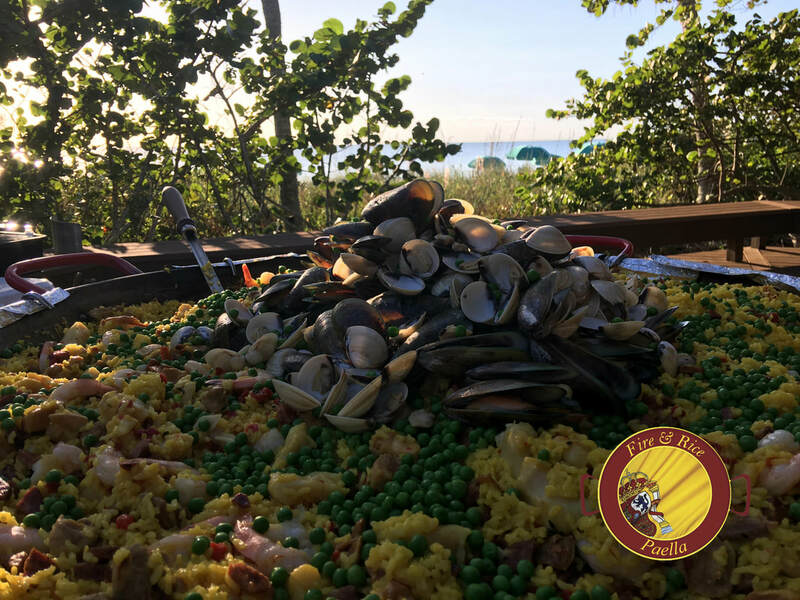 If you’re interested in our Naples paella catering services for your end-of-season party or would like to schedule ahead for your welcome back party in the fall, call us at 239-269-8857 or book your party online. We look forward to helping you make your next occasion something your guests will remember for a lifetime! ​Nick Neveau has arrived in Naples! After loading up his food truck and trailer, Nick drove more than 1,200 miles from Michigan to Naples to spend the next two months with our Fire & Rice team. Now that he’s here, Fire & Rice is working at 33.33% greater capacity during our busiest time of year, and we couldn’t be happier! Nick owns Fire & Rice franchises in Lansing and Ann Arbor, Michigan and is excited to spend some time in sunny Southwest Florida while his team holds down the fort up north. Nick has a passion for paella and the Fire & Rice business and looks forward to learning more about Naples’ operations and growth opportunities while he’s in town. Though Nick has been in the restaurant business for most of his career, he’s always been fascinated by the food truck scene in San Francisco, Portland, and Austin. Attached to the industry, he wanted to own his own food truck for as long as he can remember. When he was introduced to Fire & Rice founder, Chef Paul Schmidgall, Nick was immediately impressed with the paella food truck concept. 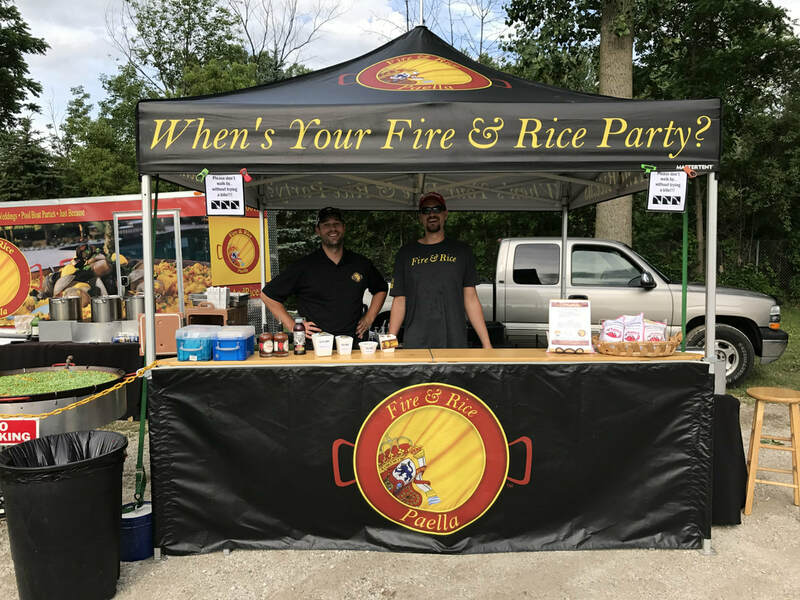 While most food trucks serve hot dogs, burgers, fries, and pizza, Fire & Rice is different experience altogether, and Nick saw it as a great opportunity. 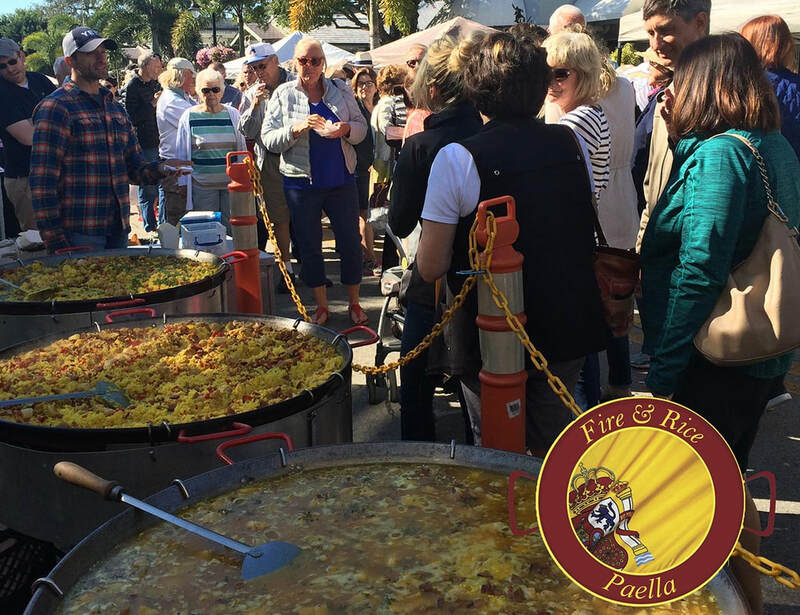 When people see a Fire & Rice food truck, they know there’s delicious paella and fun to be had by all. Our chefs cook paella out in front for everyone to see, and excitement and warmth fill the air. People are drawn to the energy of the preparation process and enjoy coming together in a communal dining experience. And when they taste the paella, it exceeds every expectation. It’s fun, exciting, and unique – something people remember, look forward to, and return to time and again. Another thing that drew Nick to Fire & Rice is the scalability of the business. One night he may be catering a party of ten, and the next day he’s serving 1,000 people at a Mo Pop Festival in Detroit. The settings are so diverse, and he enjoys interacting with people as they come together and delight in the magnificent paella and communal dining experience. Visit Us at the Fire & Rice Catering Food Truck in Naples & Marco Island! If you’re in the Naples Area, come down to our food truck and try our magnificent paella, join in the fun, and meet Nick Neveau! You can find us at the Third Street Farmers’ Market on Saturday mornings from 7:00 AM to 11:30 AM and at the Marco Island Farmers’ Market on Wednesdays from 7:30 AM to 1:00 PM. If you can’t get down early, make sure to pre-order, and we’ll put some delicious paella aside for you before it runs out. 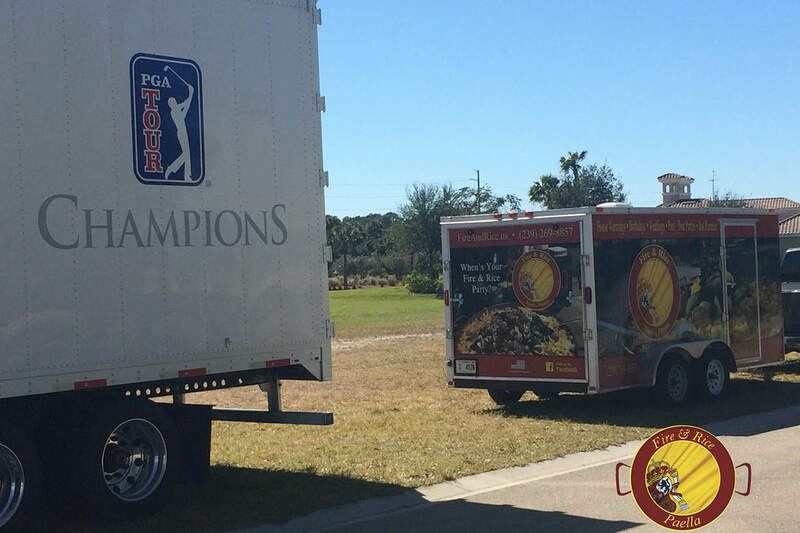 If you’re interested in learning more about Fire & Rice catering or becoming a franchisee, call us at 239-269-8857. We look forward to sharing the ultimate paella experience with you. While it’s freezing up in Michigan, Fire & Rice franchisee Nick Neveau, owner of both the Lansing Ann Arbor locations, will head down to Southwest Florida in early February to join in the fun and learn more about the operations of the original Fire & Rice location in Naples. Leaving his team in charge of the Michigan locations during a slower time of year, Nick’s arrival in Naples will increase our capacity by 33.33% in our busy season! Now that he’s packed up one of his Fire & Rice trucks and trailers, Nick’s ready to hit the road. Along his 1,200-mile trek to Naples, FL, he’ll be posting his journey on Facebook, so stay tuned! 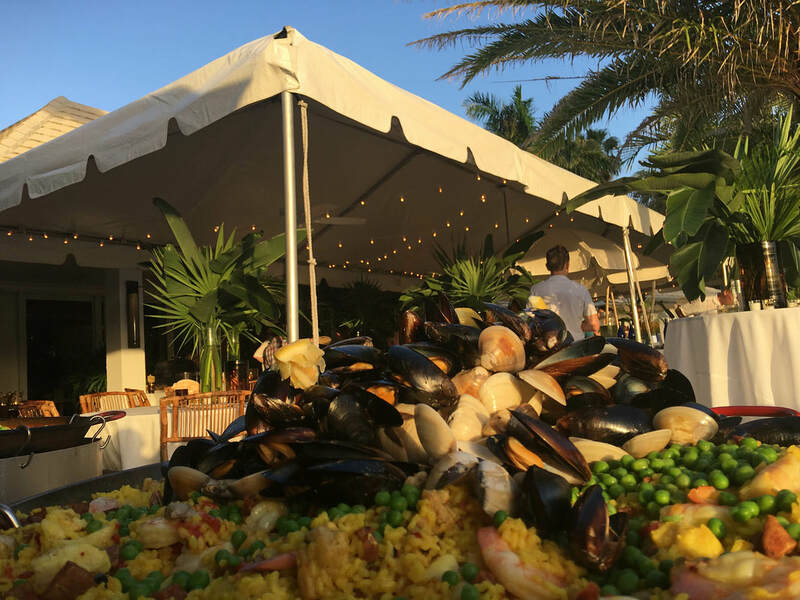 It’s beautiful in Naples this time of year, and our paella catering and farmers’ markets are in full swing. With more than fifty paella events booked each month during our busy season, we couldn’t be more excited about Nick’s arrival. Not only is Nick a great guy, his experience and insights into the catering food truck business are invaluable. As a graduate of Central Michigan University with a major in communications major and minor in hospitality, Nick has been working in restaurants for most of his career. From dishwasher to General Manager to Director of Operations to Culinary Director, Nick has done it all! Before Fire & Rice, he worked for several hospitality companies and opened fifteen restaurants in different cities throughout the U.S. Fascinated by the food truck scene out in San Francisco, Portland, and Austin, Nick has always been attached to the industry. As much as he loved working in the restaurant business, Nick always wanted to own a food truck. When he learned about Fire & Rice franchise opportunities, he knew he was onto something different. While food truck fare usually consists of pizza, burgers, pretzels, and hot dogs, Fire & Rice was a completely new concept altogether. 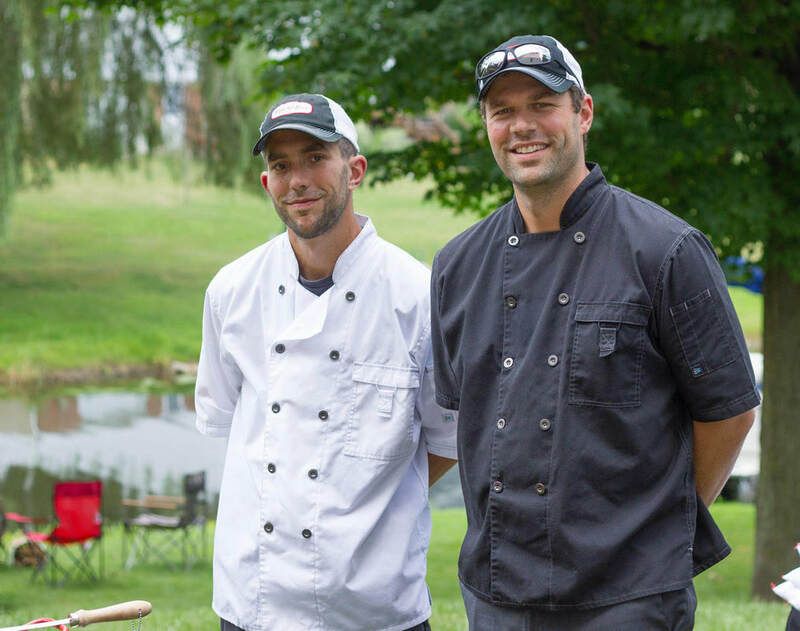 Fire & Rice is the ultimate outdoor kitchen and authentic paella experience. 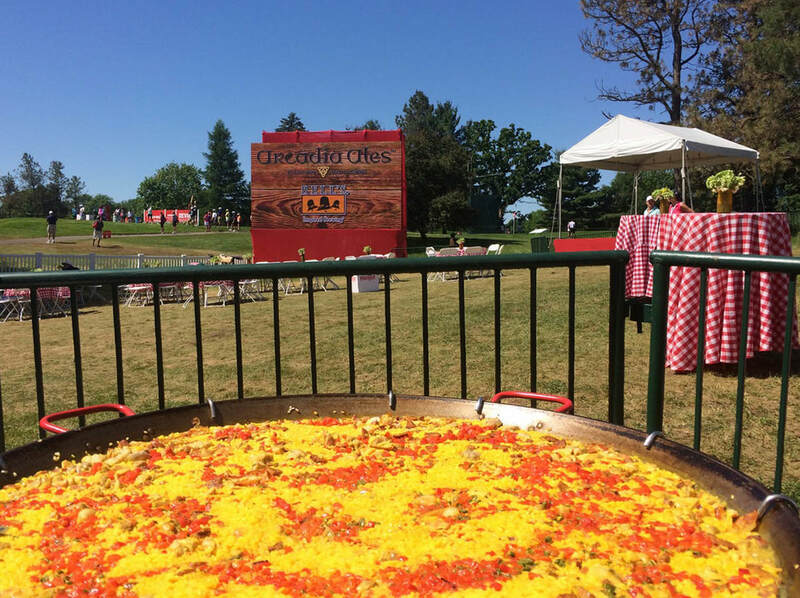 Whether we’re catering a private party or at the Farmers’ market or a local event, we prepare magnificent paella in large shallow pans out in front for everyone to see. It’s fun, it’s exciting, and people want to be a part of the process. Watching the preparation is spectacular, and the paella is divine. The gentle aromas touch your senses long before your first bite, and when you taste our award-winning paella, it exceeds every expectation. The flavors of meat or seafood, or combinations of both, fuse together with bomba rice and the delicate floral flavor of saffron imported from Spain. Many of our clients have traveled all over the world and say that our paella is the best they’ve ever tasted. 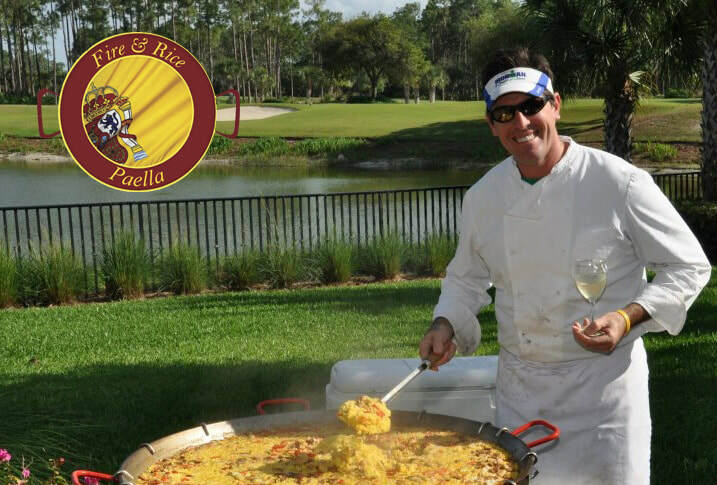 If you’re in the Naples area, come down to the Third Street Farmers’ Market on Saturdays or the Marco Island Farmer’s Market on Wednesdays to try our original paella and meet Nick Neveau! If you can’t make it early, make sure to pre-order your paella online, and we’ll be sure to put some aside for your before we run out. Looking for a unique alternative for your next catered affair? 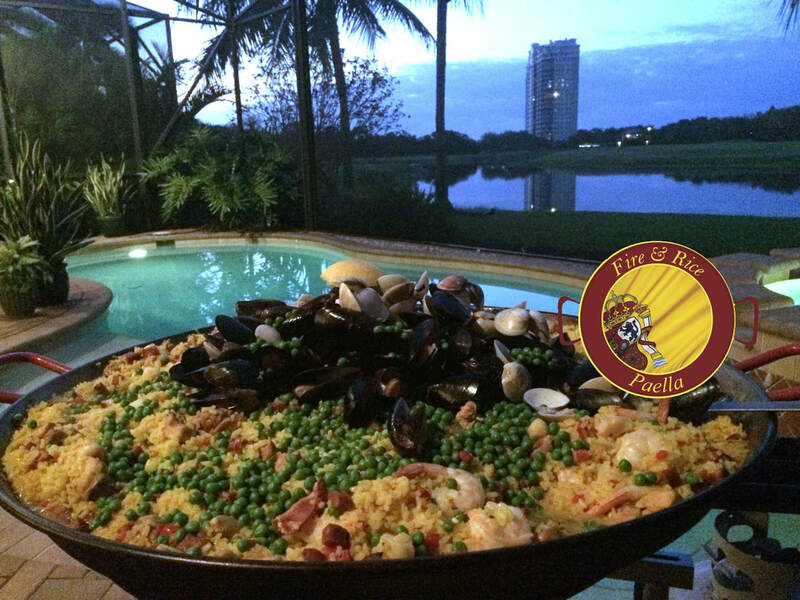 Call us at 239-269-8857 to learn more about paella catering from Fire & Rice and the parties our clients are raving about. When you’re ready to schedule your event, just book your party online, and we’ll take care of the rest! 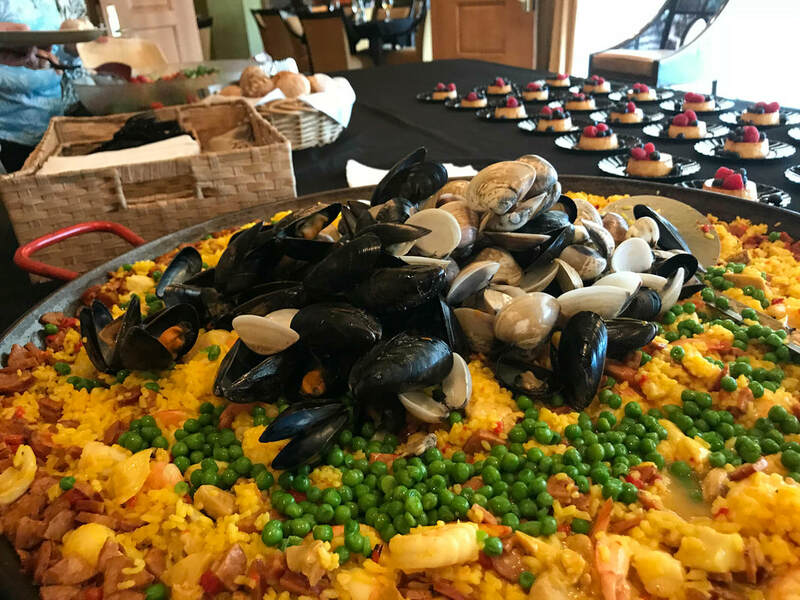 Make Your Next Party the Best One Yet with Naples Paella Catering! You put a lot of effort into entertaining, and friends and family appreciate every celebration. While you’re ready to host your next party, you haven’t quite figured everything out just yet. You know you want a unique catering option, but the services you’ve used in the past have been run-of-the-mill, and you aren’t sure where to turn. For a new, exciting, and fun-filled catering experience in Naples, a Fire & Rice paella party falls at the top of the list. 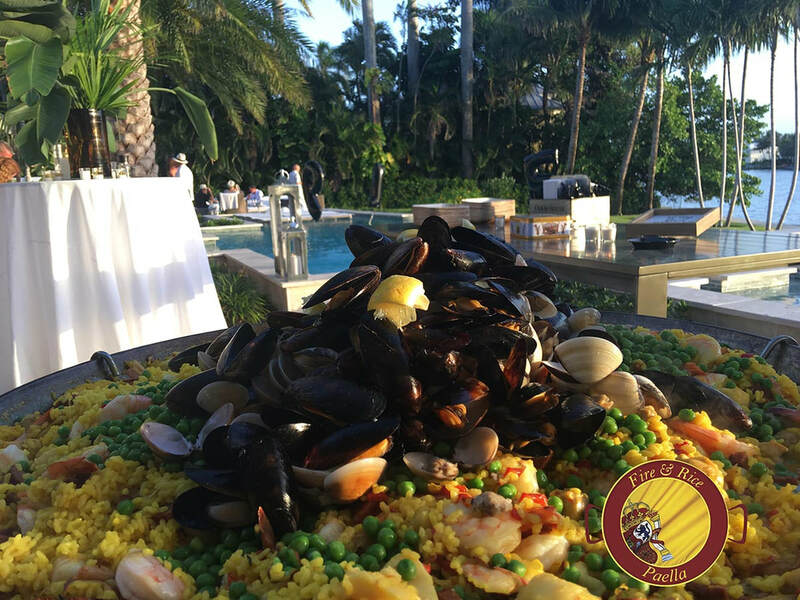 Not only are we one of Naples premier catering companies, we’re the ultimate paella experience, exceeding expectations every single time. When you host a Fire & Rice party, guests will feel the energy the moment they arrive. As they mingle and circulate, we prepare the paella in a large pan out for everyone to see, and everyone gathers together to enjoy this exciting display while gentle aromas and warmth fill the air. As part of the process, guests enjoy a selection of scrumptious tapas that will delight in every way. Whetting their appetites with aged Manchego Cheese with Membrillo, Roasted Dates with Pineapple and Bacon, Tortilla Espanola, and Jamon Serrano, is the perfect beginning to a spectacular celebration. Next comes the main event: Magnificent paella that is as beautiful to the eyes as it is to the palette. By following the traditional paella process and carefully combining the finest ingredients from 16th-Century Spain, the result is amazing, like nothing you’ve ever tasted. Whether it’s Paella Valencia, Mixta Paella, or Paella Marisco, the dish is visually stimulating and sensual. When guests take their first bite, they’ll relish in the delightful flavors and rich textures while connecting with others in a unique communal dining experience. Our Fire & Rice team pours care and enthusiasm into every event, and you can feel confident that the success of your party is our greatest concern. 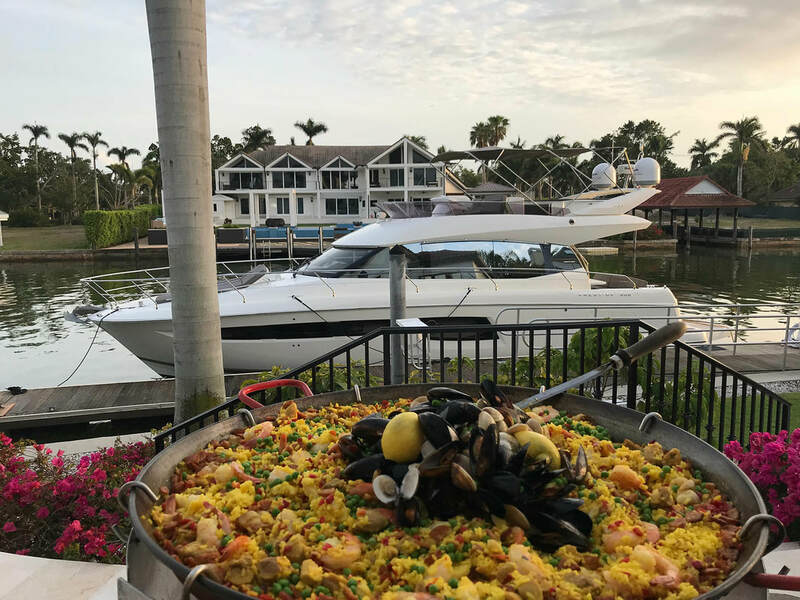 We’ve been the rage in Naples for more than a decade, and our paella parties are a hit every time. 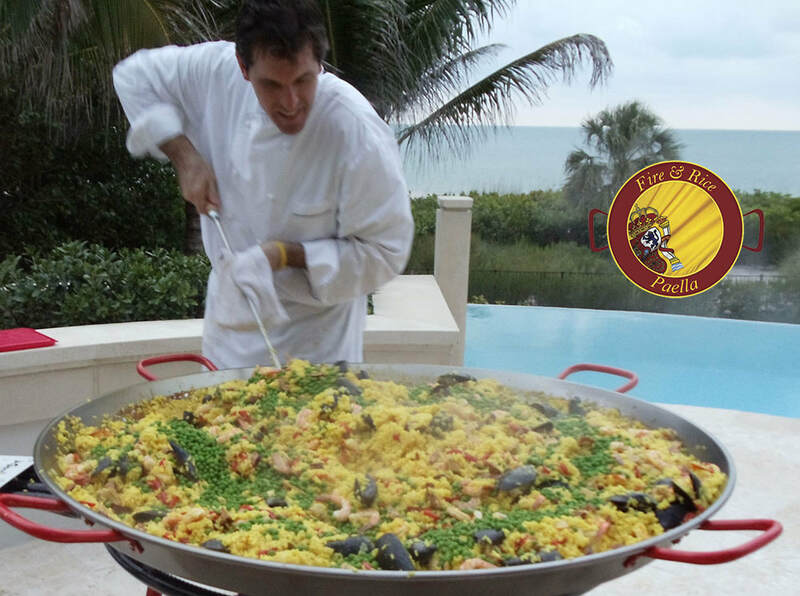 We also make things as easy as possible by providing everything to prepare your paella and serve your guests. Just book your party, and you’re all set! 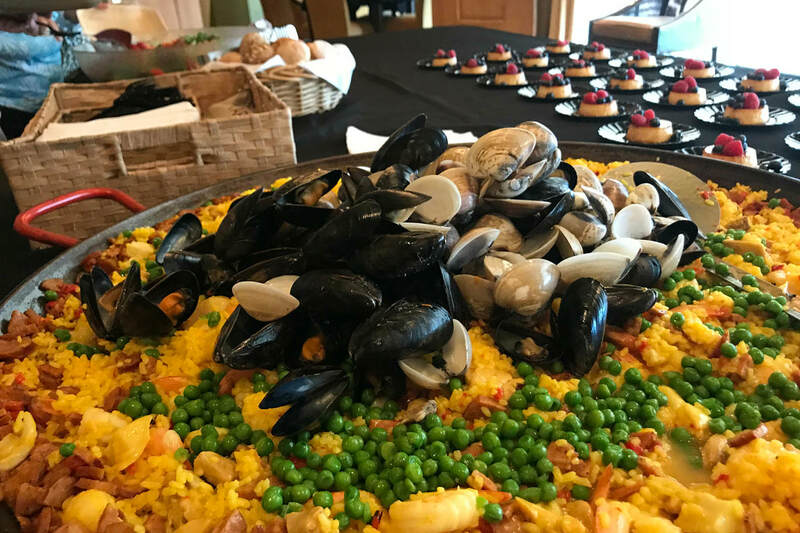 If you’re interested in learning more about our Naples’ paella catering services, please call us at 239-269-8857 or click here to book your next party. We look forward to making your next party best one yet! ​When was the last time you were wowed by a fantastic new dish? What if you could enjoy that experience in a fun and exciting atmosphere with all of your friends? Whether you’re a foodie or just looking to try something new, original paella from Fire & Rice will exceed your expectations in every way. Not only will you taste the best paella you’ve ever had, you’ll have a fantastic time sharing in a communal dining experience. ​What Makes Our Paella Original? Using only the finest ingredients dating back to 16th-Century Spain, our chefs create traditional, award-winning paella through a process that was perfected many centuries ago. By cooking paella in a large, shallow pan, we allow for the right amount of evaporation to ensure a delicate texture. With options of chicken, sausage, rice and saffron ingredients along with seafood, vegan dishes, and other combinations, there’s something for everyone to enjoy. Whether you share in our Mixta Paella, Paella Valencia, or Paella de Marisco, the results are amazing, like nothing you’ve ever tasted before. The lovely aromas will touch your senses long before you try the dish, and when you take your first bite, you’ll enjoy rich yet delicate flavors that have been exquisitely fused together. At Fire and Rice, we create every dish with passion and enthusiasm, and the results are incredible. Many of our clients have traveled all over the world and say it’s the best paella they’ve ever tasted. Our paella comes from the heart, and you’ll see that in our preparation and when you share in this wonderful dish. 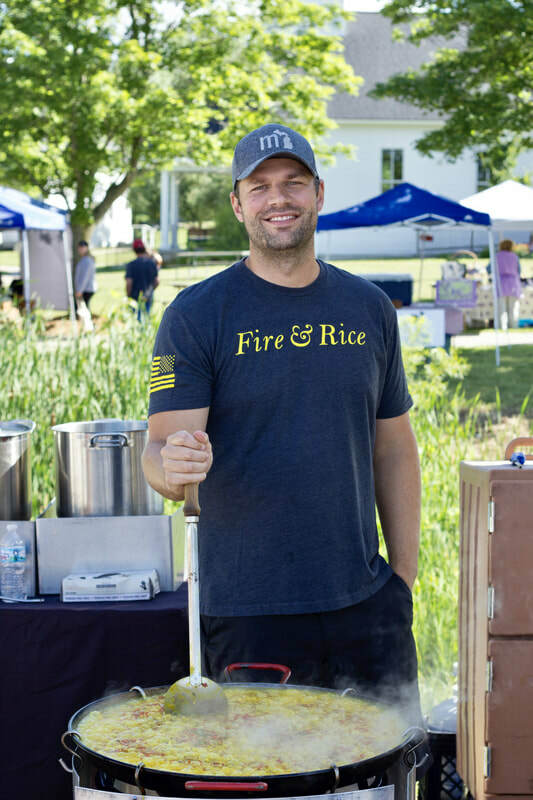 Fire & Rice owner, Chef Paul Schmidgall, learned the process of making paella from an elderly woman during a visit to the Spanish island of Menorca while stationed in Europe with the US Air Force. From that very experience more than a decade ago, he knew he was destined to share paella with the people of the United States, and established Fire & Rice in Naples. His concept caught on like wildfire, and now you can enjoy paella from Fire & Rice at locations all over the country! 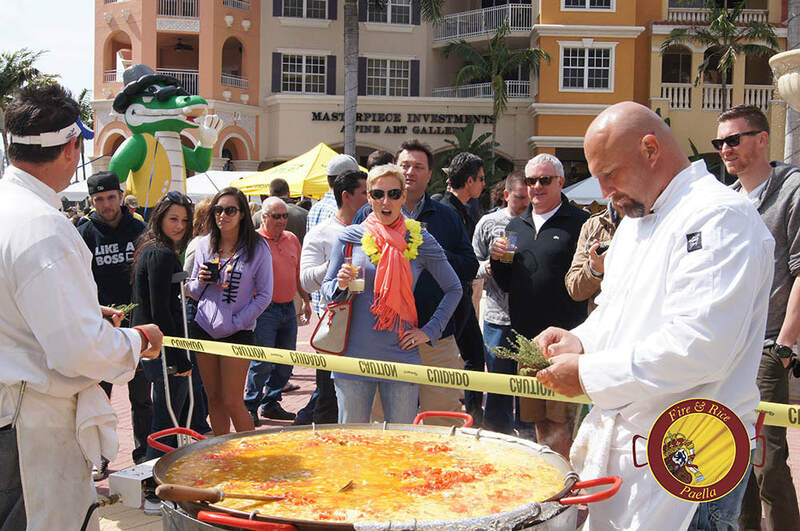 Come down to the farmers’ markets in Naples and Marco Island to see what the paella concept is all about. You’ll experience the fun and excitement as everyone lines up to take a bite of our scrumptious paella and share in the communal dining experience. If you can’t get down to the markets early, just pre-order, and we’ll put paella aside for you to pick up when you arrive. 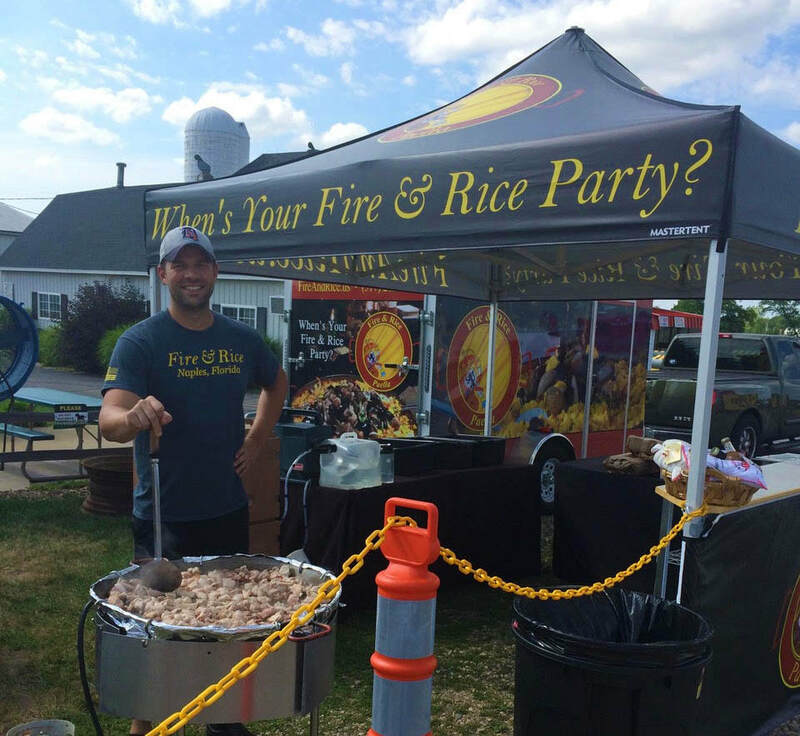 If you’re looking for an exciting catering alternative for your next party or event, Fire & Rice offers a truly unique experience. As our team prepares paella out in front of your guests, we bring a special energy to every part of the process. Guests will come together, enjoy our magnificent paella, and delight in a communal dining experience that will be remembered for years to come. 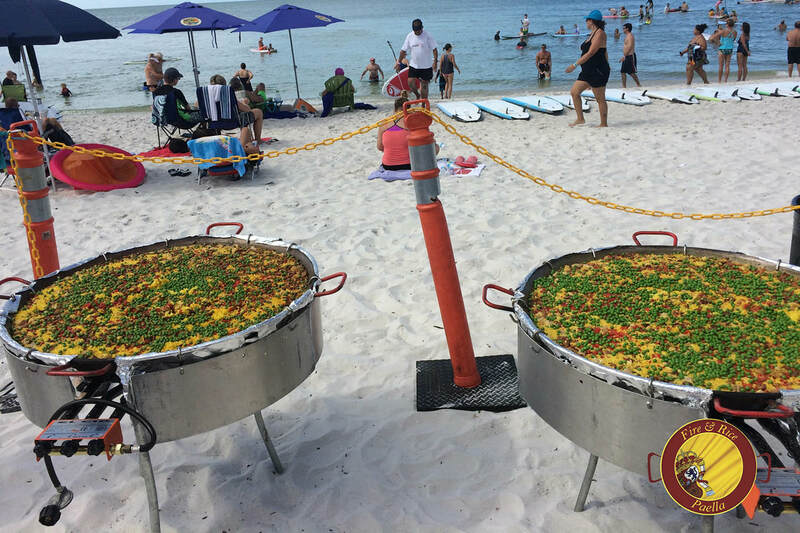 If you’re interested in learning more about Naples’ original paella or catering services from Fire & Rice, call us today at 239-269-8857 or book your party online. If you’ve never tried paella, now’s the time! ​How many parties do you have to attend before the dishes all start looking the same? Dribs and drabs of stuffed mushrooms and scallops-wrapped-in-bacon can be a little uninspiring to say the least. What you serve at a party can set the tone for the entire affair so why not plan something fun and exciting that will make your next party an event to remember? You want to be fun and creative when it comes to food options for your next party, but you’re not sure where to start. Serving the same old appetizers and entrees is out of the question, but what else is out there? You want your guests to have a fabulous experience, and you want to make sure it’s done right. When you host a Fire & Rice party, the success of your event is our greatest concern, and we want you and your guests to relax and have the time of your lives. By preparing magnificent paella out in front for everyone to see, we immediately set the tone for a momentous occasion, and curiosity and excitement fill the air. 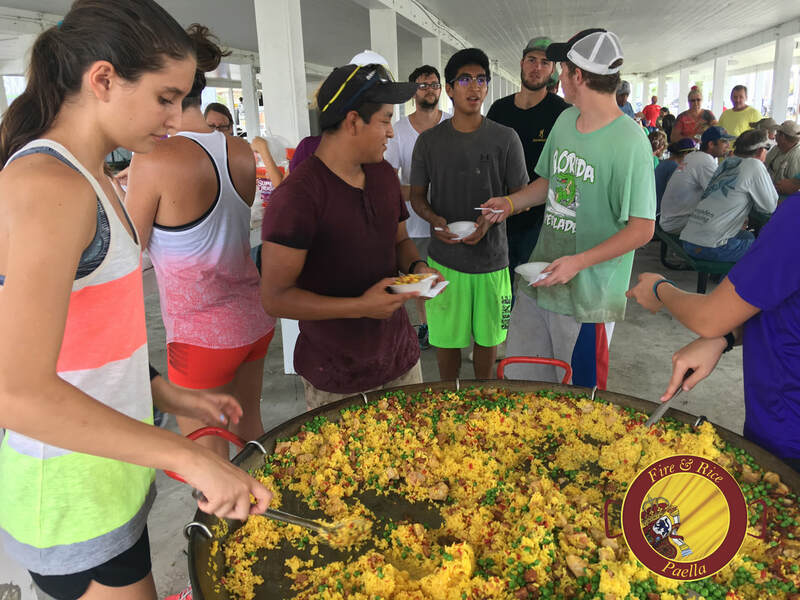 As everyone comes together to share and enjoy magnificent paella, they delight in the wonderful flavors of this unique and exquisite dish and know they are onto something special. With enthusiasm and expertise, Fire & Rice offers the ultimate paella experience that guests will remember for years to come. Our team is passionate about paella and it shows. We pour love and enthusiasm into every dish we prepare, and the paella exceeds all expectations. As we fire up the large shallow pans in front of your guests, the preparation begins. Using only the finest ingredients dating back to 16th-Century Spain, guests relish in the beauty of the paella and its delicate aromas, sure to touch their senses long before their first bite. Everyone gathers around to enjoy the process, and there is energy and warmth in the air. When guests take their first bite, they’ll delight in the marvelous textures and flavors of this glorious dish. Whether it’s Paella de Marisco, Mixta Paella, or Paella Valencia, the result is always amazing. Paella is a dish for sharing, and guests will enjoy coming together in a unique, communal dining experience that they’ve never encountered before. Picture your next party. Your guests arrive and immediately sense that this occasion going to be different. As they circulate, sharing tapas and stories, we begin the paella preparations and the gentle aroma starts to move through the crowd. Guests gather around, and even the wallflowers join in. It’s exciting, unique, an interesting – everyone wants to see what’s happening and be a part of it. As the paella is served, everyone comes together to share in this delightful dish, and the looks on their faces when they take their first bite will something you’ll remember for a lifetime. 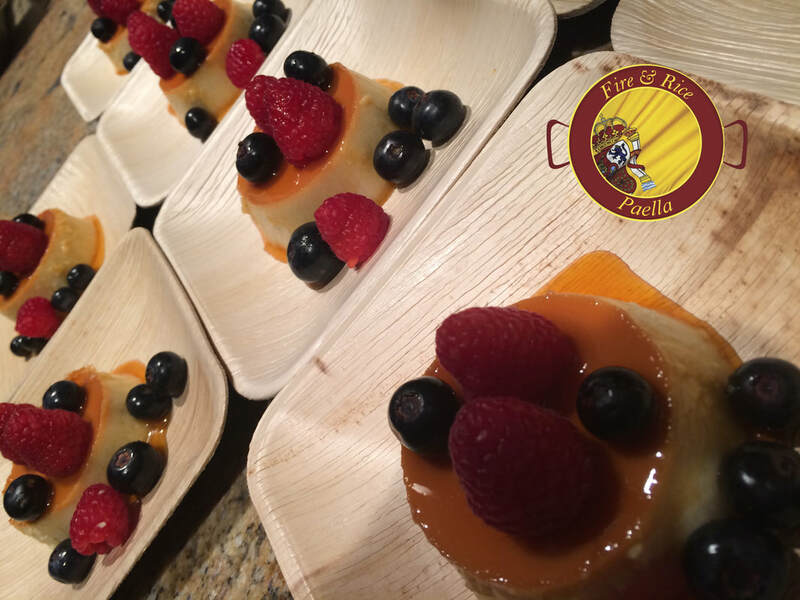 If you live in Southwest Florida and are interested in learning more about our Naples’ catering services, please call as at 239-269-8857 or click here to book your next party. We look forward to making your next party an event to remember! Everyone’s Talking About Paella in Naples & It’s Time to Join in the Fun! ​When Fire & Rice brought paella to Naples a decade ago, people just couldn’t get enough of it, and the communal dining concept spread like wildfire. Now paella is all the rage, and we want to share the ultimate paella experience with you as well. Paella is Passion in a Pan! ​Our team is passionate about paella, and we bring energy and enthusiasm everywhere we go. 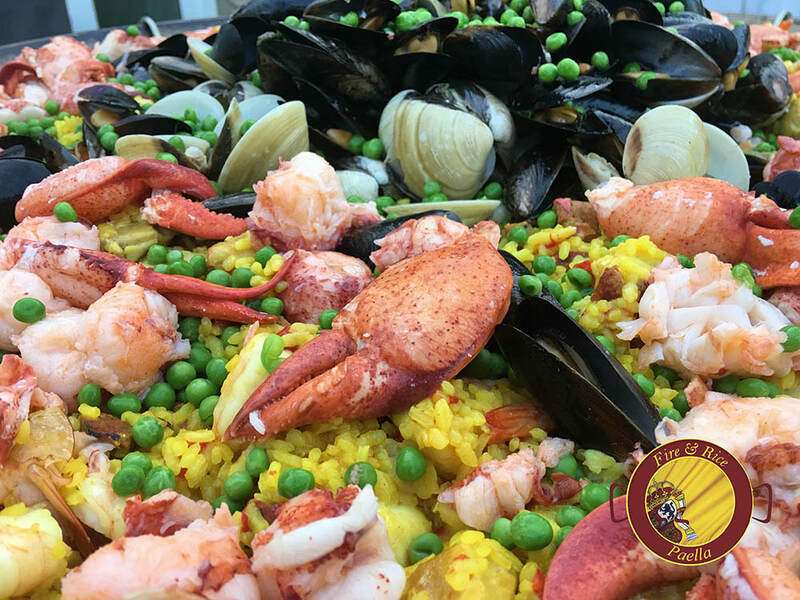 Whether you see us at a party, a local event, or the farmers’ market, you’ll be a part of the paella process as you share in the joy of this wonderful dish. 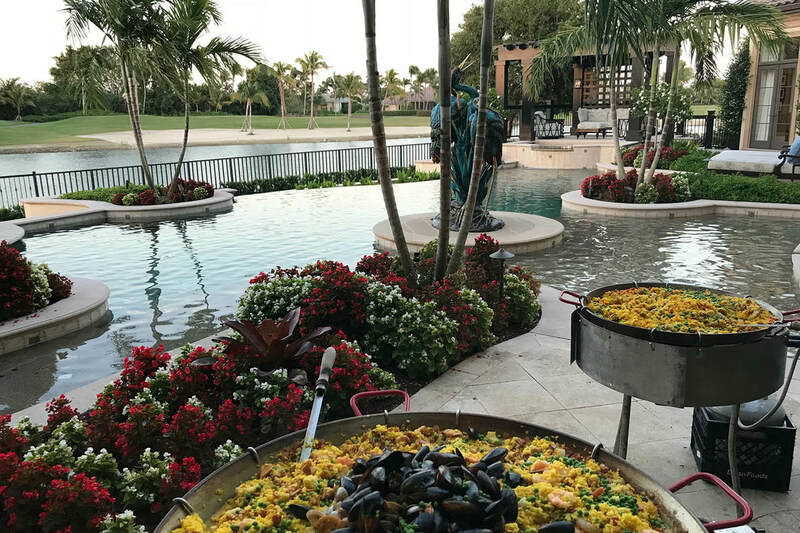 We prepare our magnificent paella right out in front for everyone to see, and people gather around to delight in the experience. As paella is a dish for sharing, it brings people together and creates a warm, festive setting for everyone to enjoy. Wherever you see Fire & Rice, you’ll see smiles in abundance and know there’s fun to be had. When preparing our award-winning paella, we pour passion into every creation, using only the finest ingredients dating back to 16th-Century Spain. The wonderful flavors and textures meld together with a delicate aroma that touches all the senses, and the result is like nothing you’ve ever tasted. Make sure to put this communal dining experience at the top of your list the next time you’re in the Naples area! ​The Farmers’ Markets are now in full swing! People come down and line up early to make sure they get the first batch of our award-winning paella. It’s a great location for people to gather, and if you’ve never tried paella before, this is the place to be. If you can’t make it down early, be sure to pre-order so we can put some paella aside for you before we run out. This is the easiest way to get involved in the excitement – all you have to do is show up! ​If you’re tired of the same old food at parties, you’re in for a treat. 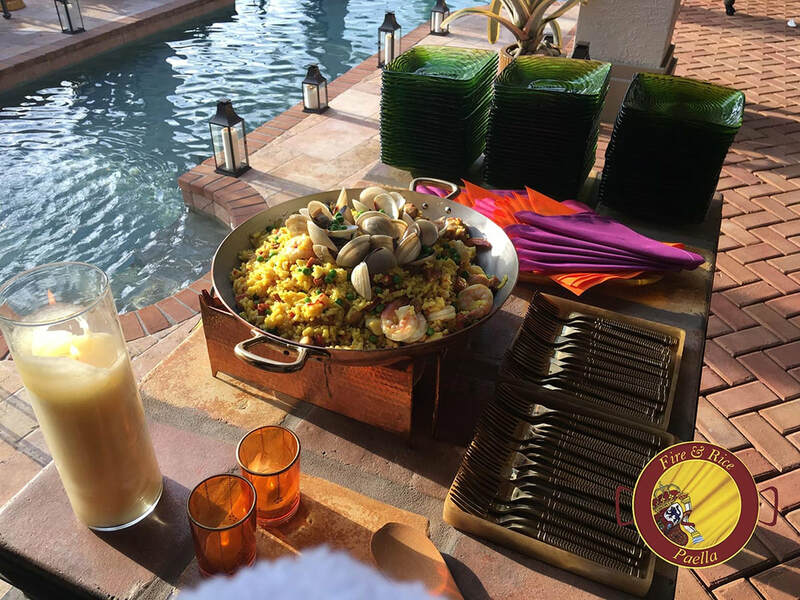 The Fire & Rice team creates an energized atmosphere by preparing paella right in front of everyone, so guests are a part of the process and feel the excitement from the moment they arrive. The preparation is fun to watch, and the aromas are spectacular. Then everyone comes together to enjoy this amazing dish, and when guests take their first bite, it exceeds all expectations. At Fire & Rice, we’ll help you make your party an affair to remember for years to come. We also keep things simple by bringing everything we need to prepare and serve your guests, so you’re all set to go. Just book your party, and we’ll do the rest! 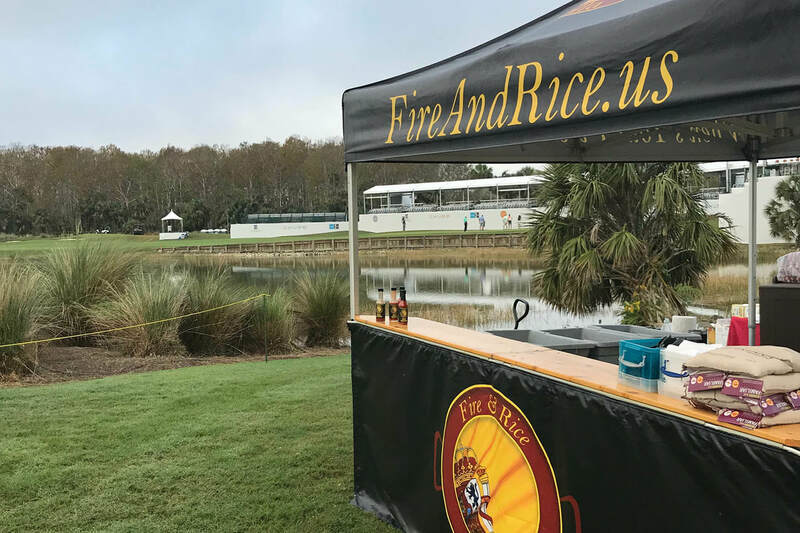 You’ll find Fire & Rice at many events around Naples throughout the year, from the local rotary’s Sunset & Suds 5K and Autoberfest to the LPGA and PGA tours. 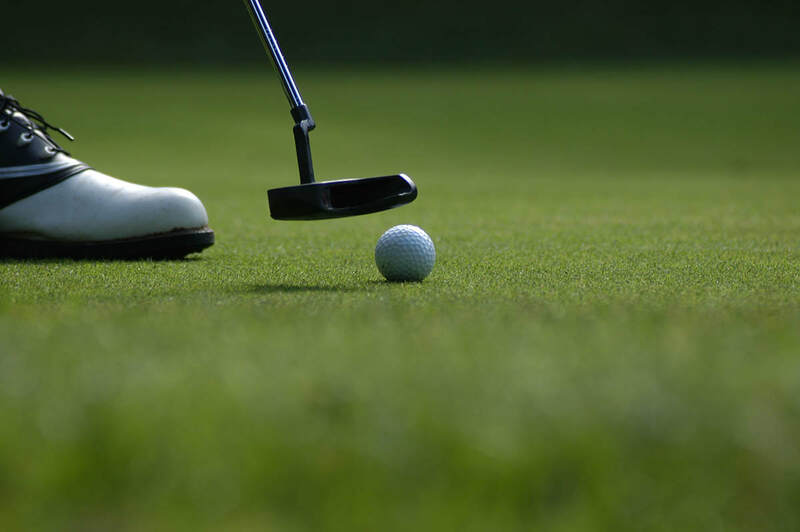 Just check back on our website, or like our Facebook page to stay up-to-date with upcoming events. 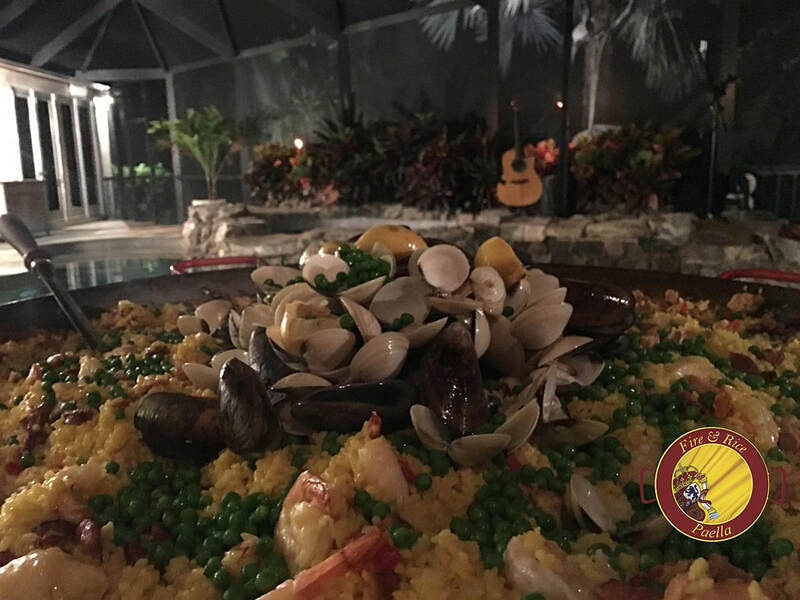 If you’d like to experience the best paella in Naples or learn more about Fire & Rice, please call us at 239-269-8857 or complete our online form to book your next party. We look forwarding to sharing the ultimate paella experience with you!